We had a wonderful season of Drum Circle/Bonfires! The weather was phenomenal and the full moons inspiring. A big "thank you" to all who participated and shared this special time with us. – Next drum circle date TBD – Check back for details, or use the form below to sign up for email updates. fellowship more than your money. Just let us know ahead of time that you'll be there! Use the form below to let us know you'll be coming to the drum circle and to get location/details via email. We look forward to spending this time with you! Drumming with others is an ancient practice that people have used for millennia all over the globe to connect, heal, learn, witness and celebrate with each other. It’s only been in the last few hundred years that many people in our modern cultures have stopped connecting in this way. Drum Circle Facilitator Vera Remes of Raven Reiki leads us as we use various forms of vibration, such as simple clapping, drum, and rattle rhythms to create deep relaxation which allows the mind and body to become quiet. 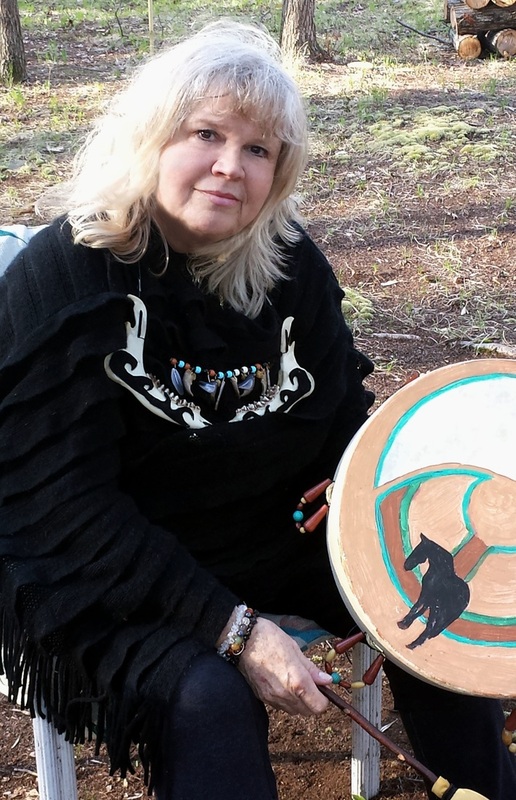 Circle may include group drumming, chanting and breath work which will lead you to gain energized mental clarity, open creative inspiration, and expand your conscious awareness. There may be elements of meditation and shamanic journeying (meditation for Type A personalities) and the inevitable Reiki share. ;) ;) Carving out time to practice this form of meditation will deepen your access to relaxation and provide an opportunity for sharing your experiences. Join us on this beautiful wooded property in the hills of Ringwood—you'll feel a million miles away, only a short walk to the fire pit site from the street, yet wonderfully secluded. Your privacy is very important to me. I will never share or sell your information. You can opt out at any time. Thanks!